Affix Windows offers durable tiled conservatory roofs to homeowners in Sidcup, Dartford, Bexleyheath, Welling, Bromley, Chislehurst, and other surrounding areas of Kent and London. 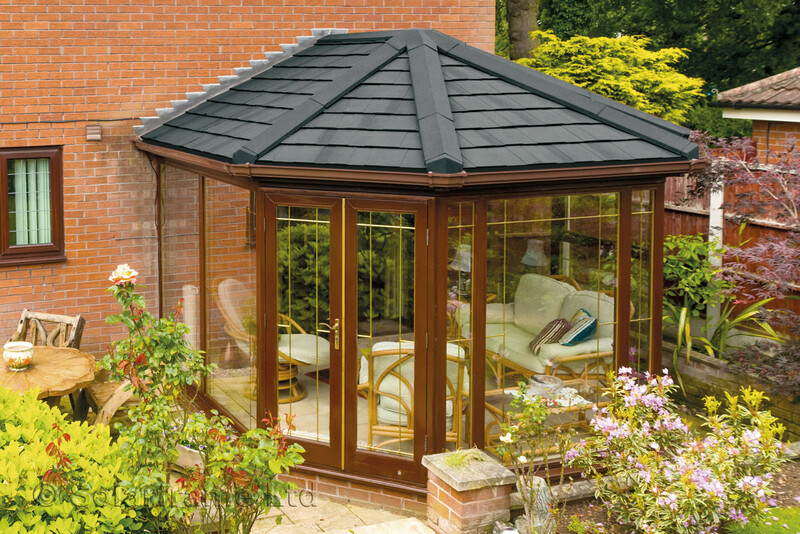 Our tiled conservatory roof systems excel in aesthetic, performance, durability and design. Whether you’re investing in a new conservatory or looking to replace a conservatory roof that is no longer performing in your Dartford home, we can help. Tiled conservatory roofs offer a range of benefits, including blocking solar heat whilst still letting the light in, easy installation for a cost-effective fit and a fully insulated design for a more comfortable home, reduced heating bills and a decreased carbon footprint. All of our tiled conservatory roofs are also guaranteed for 10 years, including a 25-year guarantee on the roof tiles. This allows you to enjoy all the benefits of a fantastic build that is set to last you an extended period of time. Don’t settle for less than a beautiful investment for your Kent home. Use our online conservatory roof quoting engine to receive a free, no-obligation price for your roof replacement in Dartford, Sidcup, Bexleyheath, Bromley, Chislehurst, Welling and other Kent areas. The tiled roof design used for our tiled conservatory roofs achieves incredible levels of thermal efficiency and weatherproofing. Due to modern innovation, our tiled conservatory roofs offer a standard of performance that is roughly 10 times more efficient than an ‘A’ rated window. This level of thermal efficiency will not only allow you to enjoy your conservatory all year round, it will also allow you to see a reduction in your heating costs. This is achieved by increasing the heat retention of your conservatory, meaning less of your central heating used in your Dartford home escapes to the outside. In fact, keeping the warmth contained isn’t all these tiled conservatory roofs do. They are equally efficient at keeping your conservatory cool during the hottest part of the day. Tiled roofs, unlike glazed ones, do not allow excessive sunlight to enter your room. Instead, they absorb the heat and radiate it in gently. As a result, your conservatory never gets overly warm. 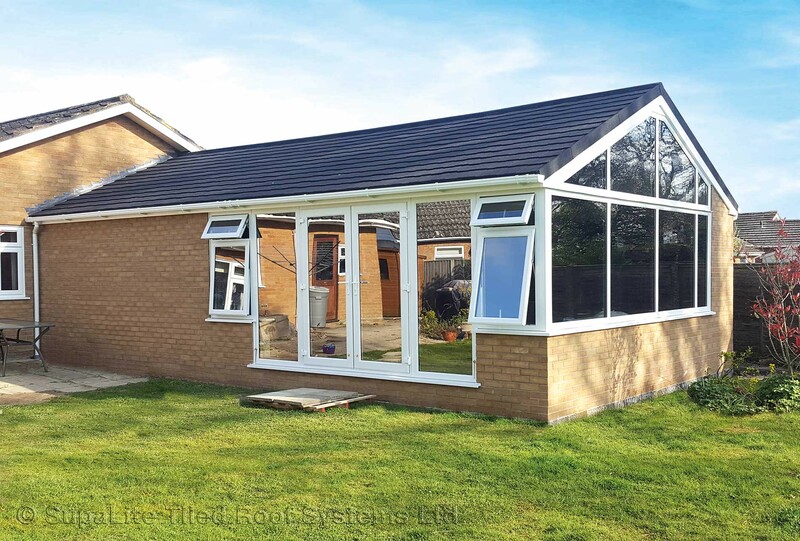 As approved Supalite tiled conservatory roofs installers, we can guarantee our team of expert fitters will be able to carry out an installation that is both quick, professional and efficient. We’ll strive to minimise the disruption to your daily life. Not only will a high-quality installation allow you to enjoy your new tiled conservatory roof stress-free, it will also ensure our tiled conservatory roofs perform to the best of their design. This allows your conservatory to benefit from exceptional standards of quality across the board. With our reliable installation, you can be sure that your tiled conservatory roof gives you optimal performance. Your home will be secure and warm, and the roof will effectively keep out the weather as well as excessively loud noises. Your conservatory will be safe from leaks, dirt, as well as intruders throughout their lives. 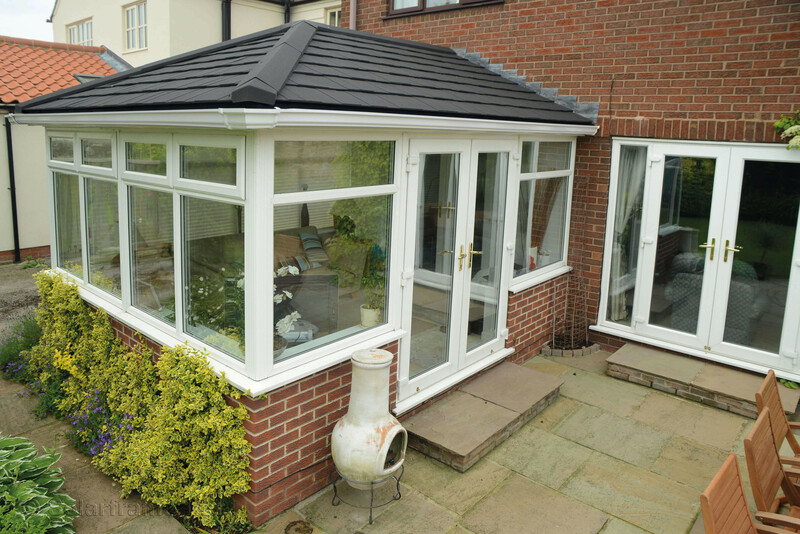 Our tiled conservatory roofs are brought to you by industry-leading Supalite. They are known for their high-quality and durable products. In fact, these roofs are crafted and tested in accordance with the standards insisted upon by JHAI. As a result, these roofs are expected to last you around 50 years. In fact, we offer a manufacturer-backed guarantee of 25 years on these tiled conservatory roofs. This guarantee means that you can enjoy your roof, safe in the knowledge that they will give you long-term service. These roofs are long-term investments that don’t need replacing for a very long time. The best part is, they continue to give you great performance throughout. To ensure our tiled conservatory roofs prove themselves to be a beautiful addition to your Dartford home, we offer a wide range of colours and finishes across our range. All tiles we use feature authentic details that will never shatter, rot, warp or fade – ensuring they keep the aesthetic appeal. Not only can you transform the outside of your Dartford home, but you can also choose from a range of internal finishing options, including modern plasterboard or a more traditional tongue and groove timber finish. Whatever option you choose, we’ll be able to accommodate easily, reliably and in a way that is set to completely satisfy. To find out more about our competitive tiled conservatory roofs prices, you can use our online quote engine. Simply enter your measurements and we will let you know an estimated price. Alternatively, you can contact us if you have any questions regarding our tiled conservatory roofs or any other products and services we offer. A member of our team will be more than happy to help you find the perfect price, reflecting your budget and tastes accurately. We’re proud of our customer service and will ensure you get the home improvements you’re looking for quickly and professionally.